I love making snacks for my kids after school. These are a great treat and are easy to make. Enjoy!! Spray a 13 x 9-inch baking pan with no-stick spray. Melt butter and peanut butter in large microwave safe bowl. about 40 seconds. Add marshmallows to bowl, stir them until marshmallows are coated. Microwave for 1 minute. remove from microwave and add cereal, Stir until completely coated. What a great take on a classic! My family will gobble these up! Thank you for sharing at Celebrate It! 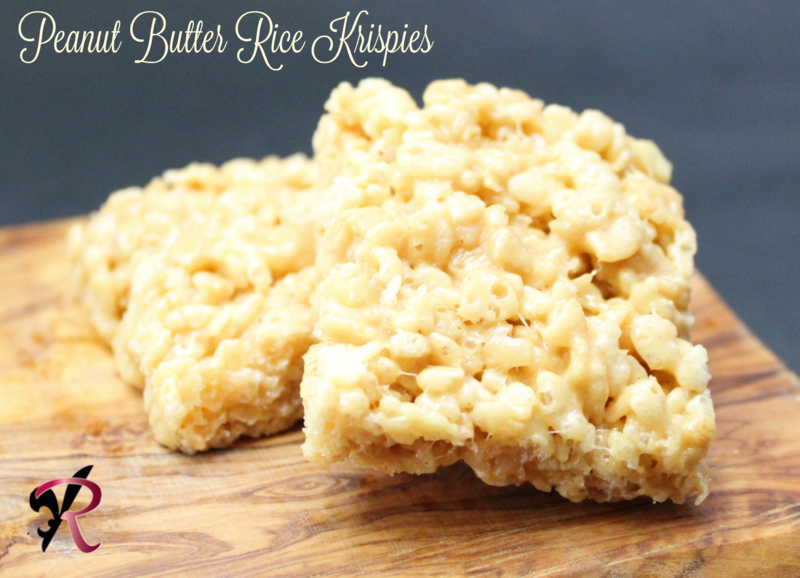 Your Peanut Butter Rice Krispies will be a very special treat! Thanks so much for sharing your post with us for our special St. Patrick’s Day Full Plate Thursday! Have a great week and come back soon.